A miniature piece of art in the form of a sympathy card. 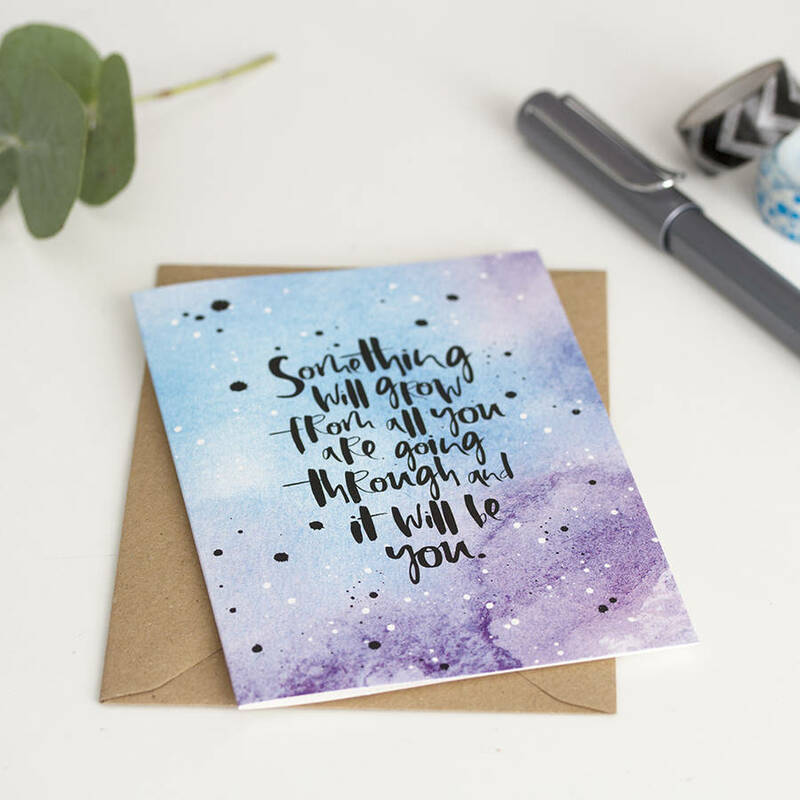 This luxurious and unique watercolour sympathy card has been designed for anyone going through a difficult time. 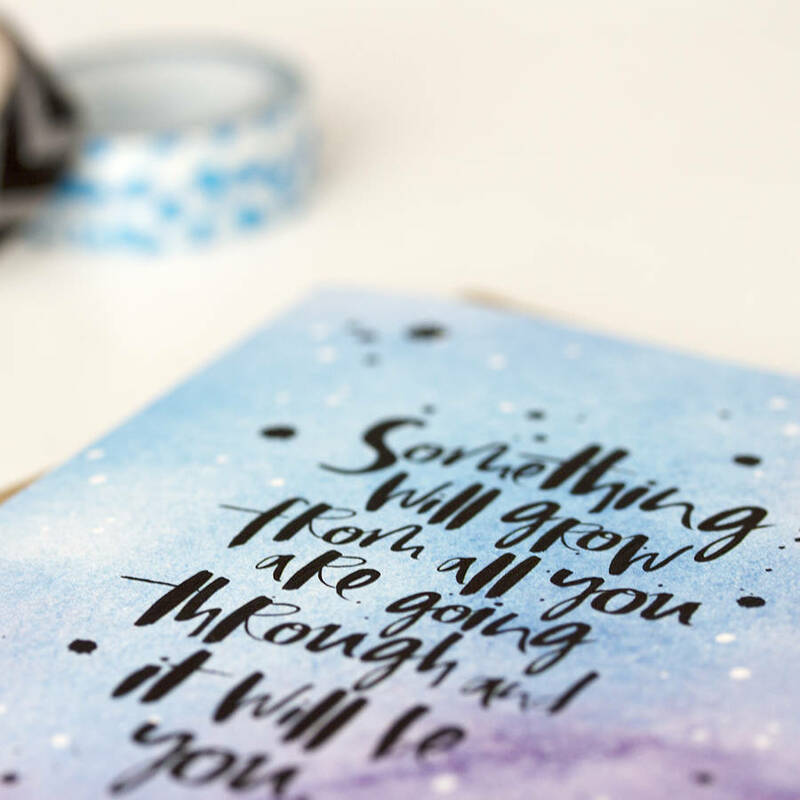 Created in our signature hand lettered font, the words 'Something will grow from all you are going through, and it will be you' are written in deep black inks and printed on to the finest FSC, textured card to make this card just that little bit extra-special. Each card is teamed with a recycled brown Kraft envelope and is left blank inside for your own message. 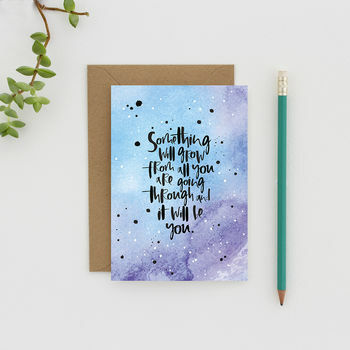 'Something Will Grow' Modern Sympathy Card is 10.5 x 14.8cm (A6) and comes with a 11.4 x 16.2cm (C6) envelope.